NEXT | Why does Battle for Azeroth need a stat squish? Anduin Wrynn is a far cry from his father, Varian. Throughout his childhood, Anduin’s shown that he believes in the best of people. He’s been a staunch supporter of diplomacy and peace, an ideal he shared with Jaina Proudmoore until events turned her away from the idea entirely. And Anduin has a knack for diplomacy, as it turns out. A chance meeting with Baine Bloodhoof during the events of Cataclysm turned into a quietly cultivated friendship. At one point, Anduin was even able to convince his father to attend a diplomatic summit with Thrall. Yes, it went south in a hurry, but Varian tried, which says a lot about his son’s abilities. 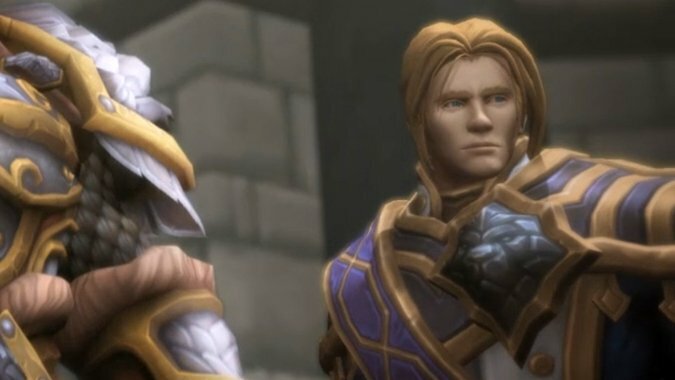 But with the Alliance headed right into a war with the Horde, what exactly is King Anduin Wrynn going to look like as a leader? Please note: Today’s Know Your Lore contains spoilers from the novel Before the Storm. If you’re avoiding spoilers, come back after you’ve read the book. Varian Wrynn was not a fan of the Horde. And who could blame him? He witnessed the death of his father first-hand, at the hands of an Orc that Llane treated like a friend. 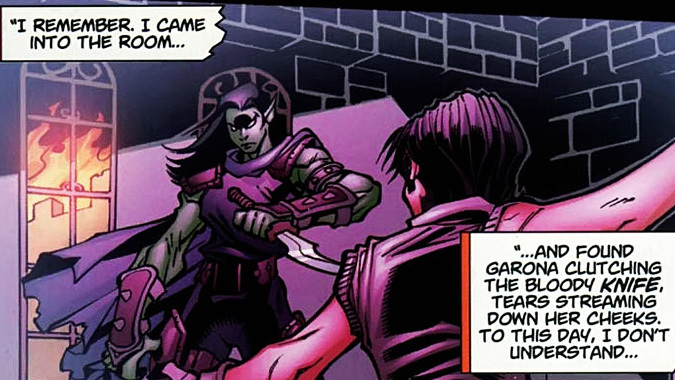 Yes, Garona was a half-orc, and yes, she was under compulsion when she did so – but young Varian didn’t know any of that. And that event, as well as the fall of Stormwind, stuck with him throughout his formative years. It was with him even after he returned to a newly rebuilt Stormwind as its king, and promptly set out on a mission to hunt Garona down. While it proved fruitless in the end, it still reflected a man who was pretty bent on justice (or perhaps revenge). However, his priorities shifted once he married Tiffin and had a son. Tiffin’s death affected him deeply – deeply enough that he sank into a dark place and forgot about everything but his own sorrows. That depression was broken by Anduin, who was a light in Varian’s darkest hours. It’s safe to say Anduin took after his mother, who was the strongest supporter of making sure the Stonemason’s Guild was paid their fair share after their work on rebuilding the city. And he took after Varian’s father Llane as well – always seeing the best in people, no matter their race. To Varian, it was a dangerous sentiment that got his father killed and one he was desperately afraid would result in his son’s death as well. Varian was at times a wary, cautious leader. He knew the dangers the world presented, and he wanted to protect his family and his people as best as he could. Anduin, on the other hand, seemed heedless of any danger. He’s always been a beacon of welcoming acceptance to everyone, regardless of their past or current associations. Just like Varian, Anduin took the throne not because he was of age or because of choice, but because of his father’s violent demise. 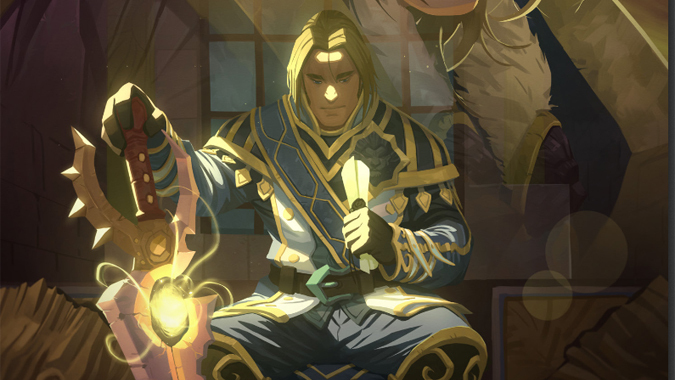 Although Varian knew with utter certainty who was responsible for Llane’s assassination, Anduin wasn’t so sure where the blame lay for Varian’s death. He had Genn telling him that Sylvanas called off the Horde forces and left Varian to die. But he also had Baine Bloodhoof, his old friend, telling him that the Horde were overrun. Vol’jin called the retreat – and Sylvanas obeyed. If Varian had been in this situation, he absolutely would’ve believed Genn without question. Varian started to relax his opinions of the Horde after Mists of Pandaria, but this looked like open betrayal. Anduin, on the other hand, was willing to look deeper – not out of love for the Horde necessarily, but out of a genuine wish to know what really happened. That’s one of the biggest differences between Varian and Anduin. Varian was quick to form snap judgments, because in a world as dangerous as the one he grew up in, he had to make those fast calls. Anduin seems more willing to reserve judgment until he sees all sides, and make the call from there. On the one hand, it’s a smart way to lead. On the other, what’s going to happen when Anduin needs to make a fast call? That’s something the Alliance should potentially be worried about. 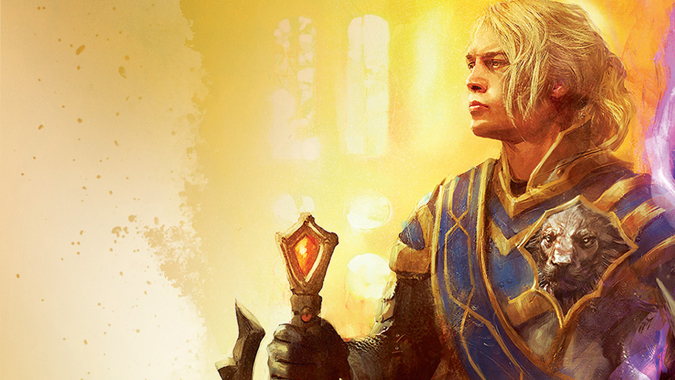 It’s no secret where Anduin Wrynn stands as far as his perception of how the world should be. But Anduin’s idealistic view of the world has always stood in sharp contrast to what the Alliance has been presented with, expansion after expansion. 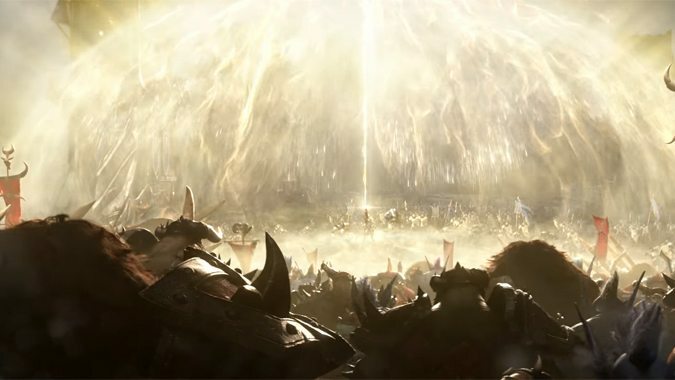 The tides of war between Alliance and Horde may have ebbed and waned over the years, but those temporary moments of peace were just that – temporary. Anduin is one of a select few people who believe the world can be better than that. When it was just Anduin working on his own, this was a worrisome issue which mostly took the form of Varian being concerned for his son’s safety. But working as the leader of an entire faction…suddenly, Anduin’s viewpoints don’t just affect himself: the whole of the Alliance is looking at him now. Throwing himself in harm’s way in the name of peace doesn’t just affect him – it affects the leadership of the Alliance as a whole. And yet, it’s something that’s almost been expected of Anduin Wrynn. Once he stepped up as King of Stormwind, it was almost a certainty that peace would be his main goal. In a war-torn world, is that really wise? Is one man enough to turn the tide – or is his unusual stance just going to get in the way? In Before the Storm, Anduin’s view is of immediate concern. Azerite isn’t just powerful: it’s the lifeblood of the world. And even though the Horde is clearly making moves to take advantage of this strange new resource, Anduin doesn’t immediately jump to war. He jumps to what we’d expect out of the man we’ve watched grow up over the course of the game – he tries to foster a connection between the factions, instead of pushing them towards conflict. If the Alliance could find the humanity that still lingered on in the Forsaken…then possibly they could begin to see other common threads with the other races of the Horde as well. As expected, Anduin’s approach draws immediate objections from the other leaders of the Alliance. Genn Greymane in particular has issues with it – his son was killed by Sylvanas, after all. But Anduin stands firm in his ideals and goes forward with the planned gathering between the Desolate Council and members of the Alliance. It doesn’t work. Of course it doesn’t work. Peace isn’t easy. It’s not something that can be accomplished in the span of a single day. Anduin may not have understood that, initially, but he understands it now. And although none of the attendees he brought to the gathering lost their lives, they still suffered for his decision. They were given the chance to reunite with loved ones they once thought lost for good – loved ones that were Forsaken. And instead of a joyful reunion, they witnessed those same loved ones ripped from their grasp for a second time. Anduin gave them hope, Sylvanas ripped that hope away, and taught King Wrynn a valuable lesson about actions having consequences. Where will Anduin lead the Alliance in Battle for Azeroth? Where does this leave Anduin Wrynn? Is he still the eternally hopeful youth we saw in Mists of Pandaria? No – not anymore. But neither is he the stern, taciturn leader that his father was. 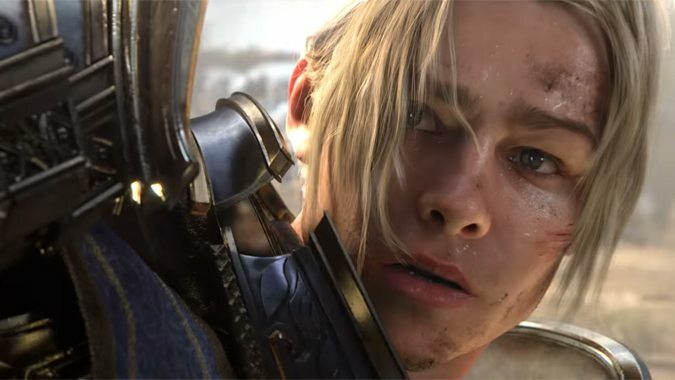 Anduin has to find his own way, and Before the Storm demonstrated that his path to being a leader is going to be anything but easy. I think we can safely rule any rash decisions in the name of peace out in the future. But I don’t think that Anduin is going to stop looking for it. He may exercise more caution, now – and he knows that not everyone is going to feel the same way he does. Some people can be convinced of the merits of unity, and others are too far gone. It took a terrible event to drive that home, but I don’t think Anduin is going to forget the lesson Sylvanas taught him anytime soon. However, there’s much to be said about having a leader with diplomatic strengths in a time of war, particularly when allies are needed. Anduin might not have gotten Sylvanas on his side in Before the Storm, but he didn’t necessarily need to. If anything, he learned that not everyone is on Sylvanas’ side – and if he wants to extend his hand to the Horde again, perhaps there are others who would reach out and grasp it more readily. It’s a dangerous game, but Anduin’s a clever man. Is peace between factions a possibility? If Anduin has any say in it, the answer is certainly yes…but it’s going to take hard work and some potential bloodshed to get there. Anduin Wrynn is not his father – but I think he’s going to be an even more effective leader, given due time.